That’s an important question to ask yourself if you’re looking to get into the business. “Should I be a Realtor?” The Real Estate profession has certainly changed the past few years. We transitioned from a boom market to a distressed market that is forcing Realtors to either leave the business or try to do things differently in order to stay afloat. Being a Realtor is not an easy job, especially in this market. Deciding to do Real Estate in this environment means that you’re either crazy or you think you have what it takes. Realtors are independent contractors. So you can label Realtors as small business owners. Many small businesses are struggling due to the weak economy. Realtors are no exception. The advantage of being a Realtor is that there is very little overhead. With the exception of MLS, association, and other fees, Realtors don’t have as many expenses as your regular brick and mortar business. The challenge of course is acquiring business in a distressed market as this one. To be profitable, you need to utilize social media i.e. Facebook, Twitter, YouTube, etc to market yourself and get clients. Most of these tools are free and are a great way to promote yourself. If you think plastering your face on a bus stop bench is going to get you clients, you’re in for a rude awakening. Real Estate can be a very lucrative profession, but the failure rate is high. If you plan on becoming a Realtor, don’t expect to make money right away. Even if you do things right, it can take up to a year before you see your first sale. So if you’re up for a challenge, Real Estate may be for you. Real Estate website Zillow is set to have its initial public offering(IPO) in the not so distant future. Zillow has already filed with the SEC and has set its IPO price at about $14 per share. Zillow, founded in 2006, has been an extremely popular tool for prospective buyers and sellers looking to do research in their respective markets. Zillow has received over $32 million in venture capital and will likely be infused with more cash as we approach Zillows’ IPO. Is Zillow a worthy investment when it becomes publicly traded? Zillow certainly can be useful if you want to look up some general Real Estate information about your market. However many of my clients who have used Zillow have found the information on the site to be inaccurate or not up to date. A perfect example is with listings. 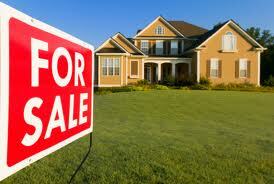 I’ve had clients who’ve contacted me telling me about a particular listing they found on Zillow or on a similar site. When I check the listing on the MLS it’s either expired or pending. This is a very common occurrence when clients use third-party sites. The problem with Zillow and similar sites is they don’t do a very good job updating listings and other info from the multiple listing service. So you cannot rely just on Zillow when doing research. The most up to date and accurate information is what the Realtor provides you from the MLS. This is a big flaw that can hurt Zillow down the road. Overall Zillow isn’t a bad site.It’s one of the many tools you can use when it comes to your Real Estate search. As an investment however, that remains to be seen. 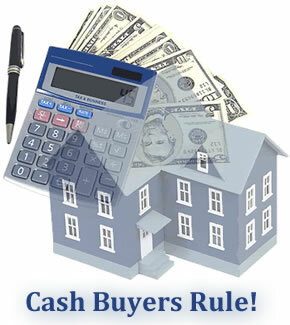 As I have mentioned in my previous blog, over 30% of Real Estate transactions nationwide are cash buyers. This percentage can increase if home values continue to fall. If there is to be a recovery in the housing market, the recovery will be led by cash buyers. Cash buyers are a sign of a new economy. No longer can Americans afford to over-leverage themselves getting stuck with 15 or 30 year mortgages. Since home prices have reached record lows, buyers and investors are taking advantage of cheap prices by paying in cash. It this trend continues, housing inventories can be reduced allowing home prices to appreciate. This is different from the housing bubble of a few years ago when Americans took out ARMS with little to money down and shady credit to purchase properties they could not afford. Cash buyers can lead a legitimate recovery in the Real Estate market. Of course this will take time considering the amount of inventory that’s still out there. Plus with a shaky U.S economy, it can take some time before we see normalcy in Real Estate. One thing is for sure, paying cash is the safest and best way to purchase Real Estate during these economic times. 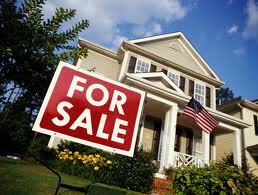 A recent article by USA Today reports that cash buyers make up 30% of existing homes sales. A good portion of cash are buyers are investors who are looking to take advantage of declining home prices. Others are buyers who a few years ago weren’t able to purchase property but now can as a result of attractive home prices. In areas like Las Vegas where the foreclosure rate is the highest in the nation, cash buyers make of 49% of the market. In other cities like Miami, 69% of buyers paid in cash. In this market, cash is king for a number of reasons. For one, lenders are reluctant to lend which in my opinion is a good thing. This is forcing buyers to accumulate capital and purchase properties in cash or at the least leave a large down payment. Another reason is with REOS, banks prefer cash over financing, even if that means an offer slightly lower than the listing price. Cash buyers will beat out buyers who use financing most of the time. Cash buyers are the catalyst that keeps the Real Estate market moving. If it wasn’t for cash buyers, the market would be in worse shape then it is now. As appealing as cash is however, it certainly has its pitfalls. The U.S. dollar has been declining for some time resulting in a rise in inflation. It’s certainly possible that if this trend continues, we can see homes being purchased using precious metals such as gold or silver. States like Utah have passed legislation legalizing the use of precious metals as a medium of exchange. Other states are following suit. Of course homes being purchased with gold or silver may not happen for sometime. Right now cash is king. In a Real Estate market brimming with foreclosure, homeowners who have been delinquent on their mortgage have managed to stay in their homes for sometimes a year or longer. An article by CNN Money points out that some owners have managed to stay in their homes as long as five years without paying their mortgage. This is common in states like California and Florida who were the hardest hit states in the aftermath of the Real Estate bubble. The reason so many homeowners have been able to get away with this is because the courts are overwhelmed with the number of foreclosures they have to work on. In Tampa, only a few judges are handling thousands of foreclosure files that can take over a year or longer just to get to a file at the bottom of the pile. According to Nationwide, it takes an average of 565 days to foreclose on a property. This gives delinquent homeowners a chance to stay in their homes in some cases a few years. Currently there are 4 million homeowners across the country who are behind or are unable to make payments. With foreclosures still on the rise, it is likely we can see entire neighborhoods filled with homeowners who aren’t paying their mortgage. This can force down home prices making it very likely that we sill home prices fall for years to come. For the past few years short sales have been a popular way for delinquent homeowners to escape foreclosure and save whatever is left of their financial fortune. Short sales, which is when the lender sales the property for less then what it was purchased for, is abundant in states like Florida and California who were among the hardest hit states during the Real Estate crash. With the increase frequency in short sales, there has also been a boost in fraud risk. Short sales have been the target of many investment groups that are looking to take advantage of deeply discounted properties. There has been reports indicating that investors are re-selling the property the same day they acquire it. The investors would provide the broker commissions when the house is sold and when it is flipped. The profit can be very lucrative. According to The Press Enterprise, short sales re-sold the same day can yield a 34% profit or $56,947 gain between buying and flipping the home. This practice is popular in California where the state leads the nation in short sales. It’s hard to say if this is also being done in Florida. In all honesty though, it wouldn’t surprise me one bit. Being a Realtor can be a frustrating job. Especially in a tough market like this one. The reason it’s become difficult is because there is a new breed of buyer that has emerged from the new normal in Real Estate. These are buyers who are looking for the cheap of the cheap when it comes home prices. These buyers are a mix of small investors and buyers who normally would not be able to afford to purchase property. Of course with home prices dropping like a bad habit, many buyers recognize that there are some great deals out there,and they are absolutely right. The problem is not the price range they are in, which can be anywhere from $20,000 to $60,000, it’s the kind of property they expect to get in the price range mentioned. In a city like Tampa, the $20,000 to $60,000 price range will most likely get you a condo or town home depending on the area, The challenge that I found with many clients is that they want either a move in ready home or a property with all the amenities for under $40,000. There is certainly inventory in that price range, however you also get what you pay for. Most likely many of the properties in the price range mentioned will either need some work or they might be a little dated. The ones that are in tip-top shape are becoming difficult to find because someone already recognized that they were a good deal. It’s great that buyers today want a good deal. But there is a difference between looking for a good deal and being unrealistic about what you can get for your money. Trying to teach your clients about the realities of the market is no easy task. Sometimes your client has to learn the hard way before they come to the conclusion that they either have to go up in price or change their specifications of what they are looking for. Patience is the name of the game when handling these kinds of clients. This doesn’t mean you should not do business with them. You just have to approach them differently.